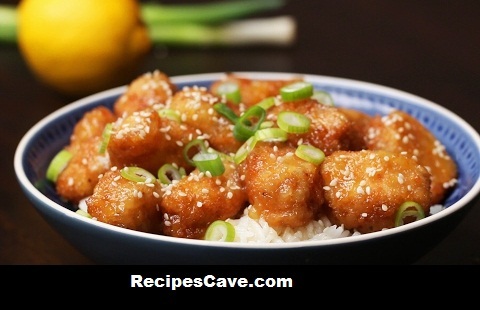 Lemon Chicken Recipe Chinese Style - In China people make something different style of chicken recipe. So today we are going to learn how to cook chicken recipe in Chinese style. Follow bellow steps. Combine all marinade ingredients with the chicken breast and leave for 20 minutes. In a medium-sized saucepan heat the oil to 170°C/325˚F. Deep fry the breaded chicken for about 3-4 minutes until the coating is golden brown. In a small frying pan, combine the chicken stock, lemon juice, and sugar. Bring the mixture to a boil. Mix the corn flour with the water, then add the mixture to the frying pan to thicken the sauce. Add the chicken to the frying pan and coat with the lemon sauce. Your Lemon Chicken Recipe Chinese Style is ready to taste.